Today I am sharing a explosion box card for mother's day and entering it for Lawn Fawnatics challenge 27 - 3D Cards. I used the mermaid card stock to score and cut the explosion box measuring 2 3/4" on all sides and decorated with a fall theme as its Autumn here in Australia. 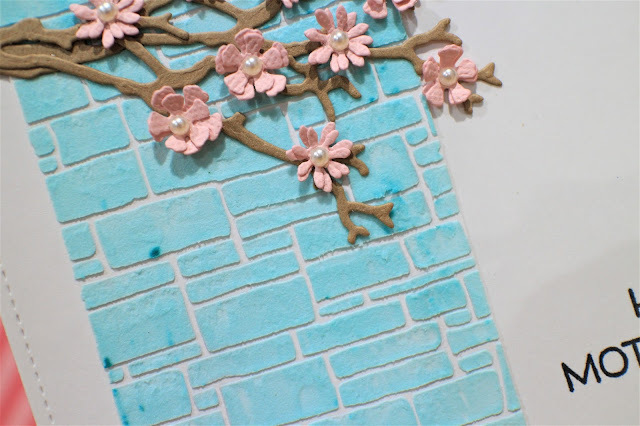 For the outside of the box I used stitched hillside boarders and stitched tree boarders for a beautiful hilly backdrop. 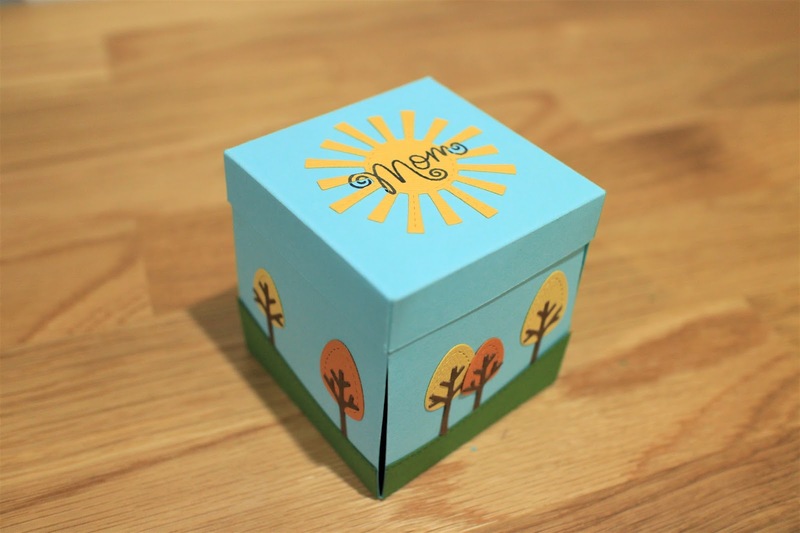 For the lid I added a stitched sun from spring showers with scripty mom stamp. Ta-da, I used the owl critters from mom+me stamp stamp and die sets for mothers day wishes. 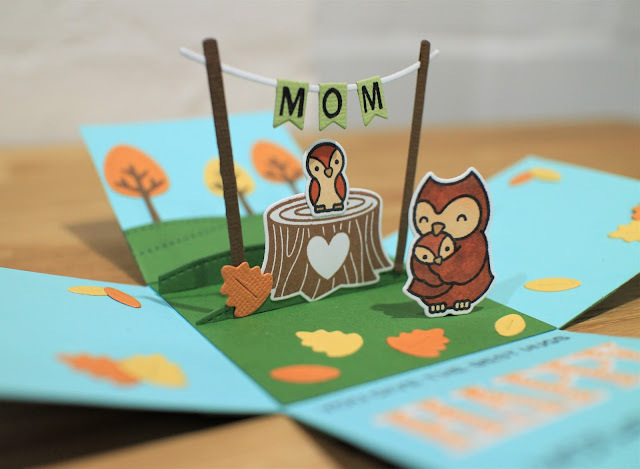 I decorated the inside with noble fir card base and used the posts and banners from scalloped box card pop-up die with a baby owl on a tree stem wishing mom you give the best hugs. 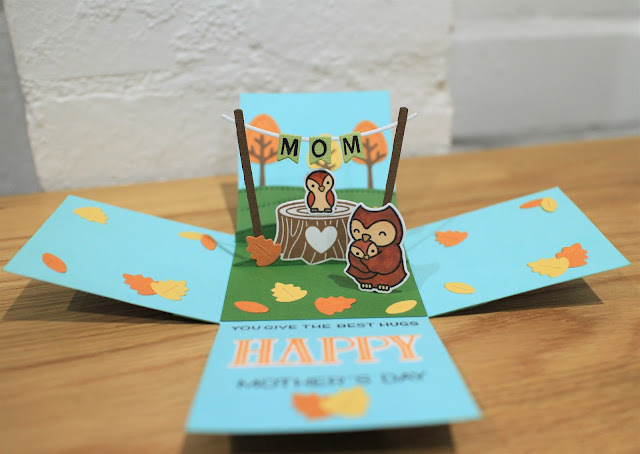 For the backdrop I used stitched hillside and tree boarders, added some fall leaves for some extra finishing touchwith some spaces to write messages on side panel. 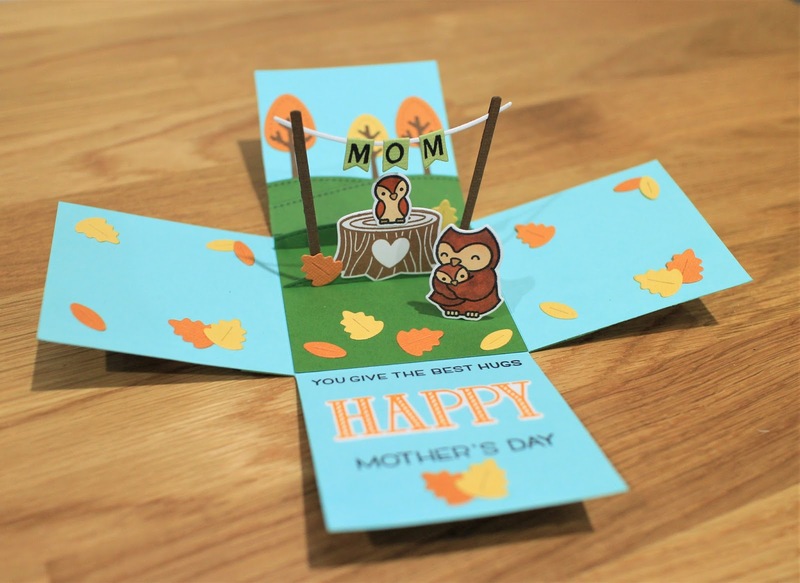 Finishing the front panel Happy Mother's Day wishes! I hope you liked my explosion box card. Thanks for your visit, Have a great day! 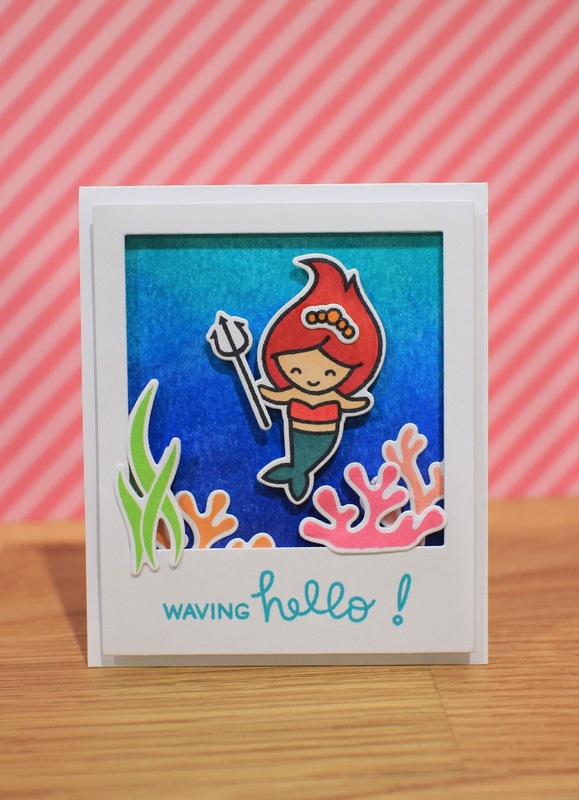 I am sharing another card today for Simon Says Stamp Wednesday Challenge : Add Some Texture. 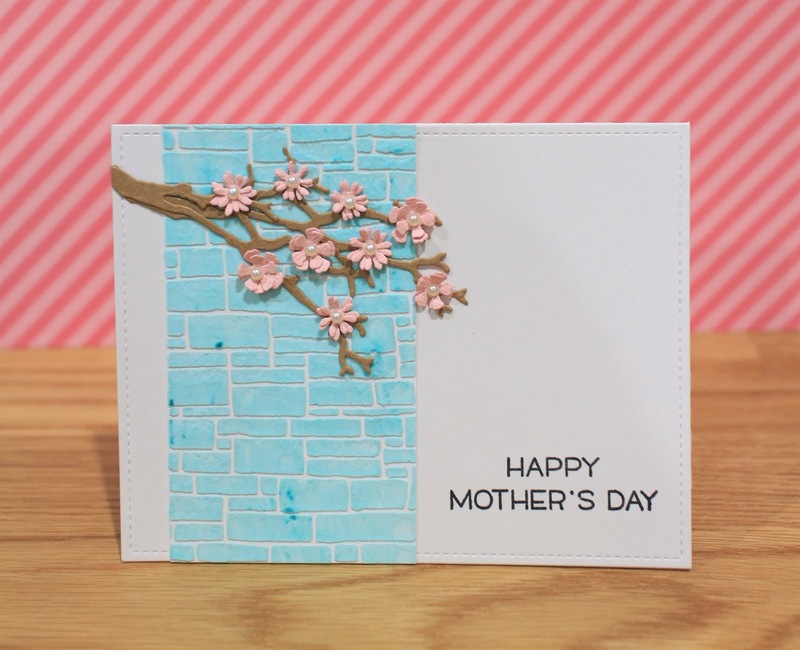 Mother's day is coming soon and I need to create cards for all the beautiful mothers out there. I used texture paste for the background using Tim Holtz slate mini layering stencil to give that smooth flat plate of slate finish. I mixed lawn fawn peacock ink with the texture paste to give some bright colour slate. 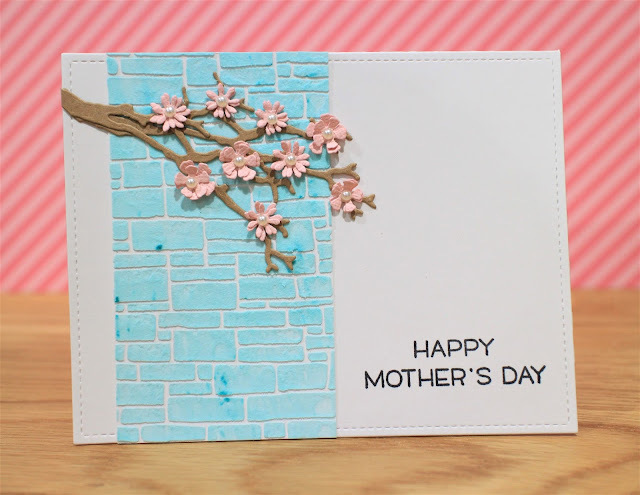 I used small tattered florals thinlits dies from Sizzix to give some Spring touch to my card although its Autumn here in Australia. I can't wait for spring already. 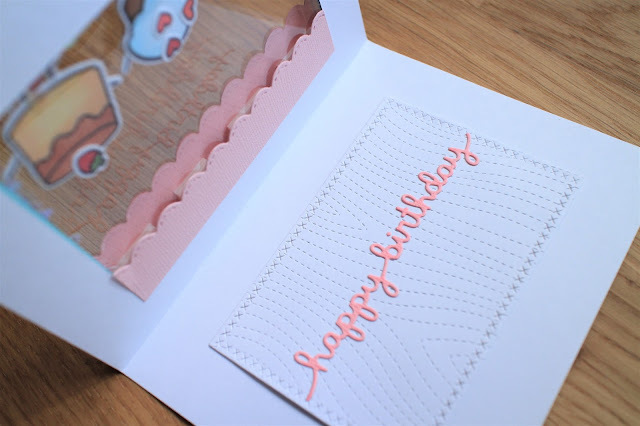 I hope you liked my card. Have a great day! 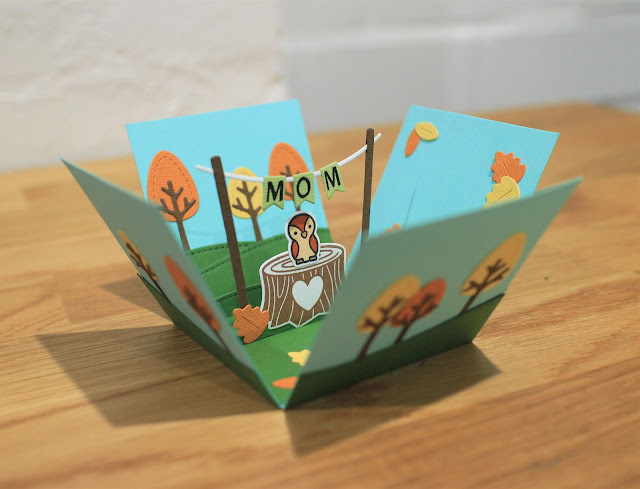 Today I have a set of cards to share I made for Lawn Fawnatics challenge #26 Card Sets. 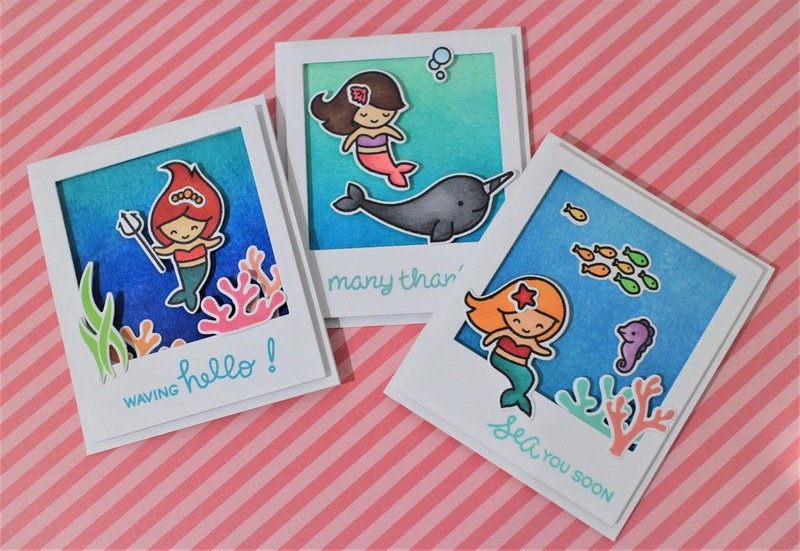 I was inspired by Elise to create these adorable and sweet set of cards using polaroid frame from Say Cheese, Again and Mermaid for you stamp and die sets. 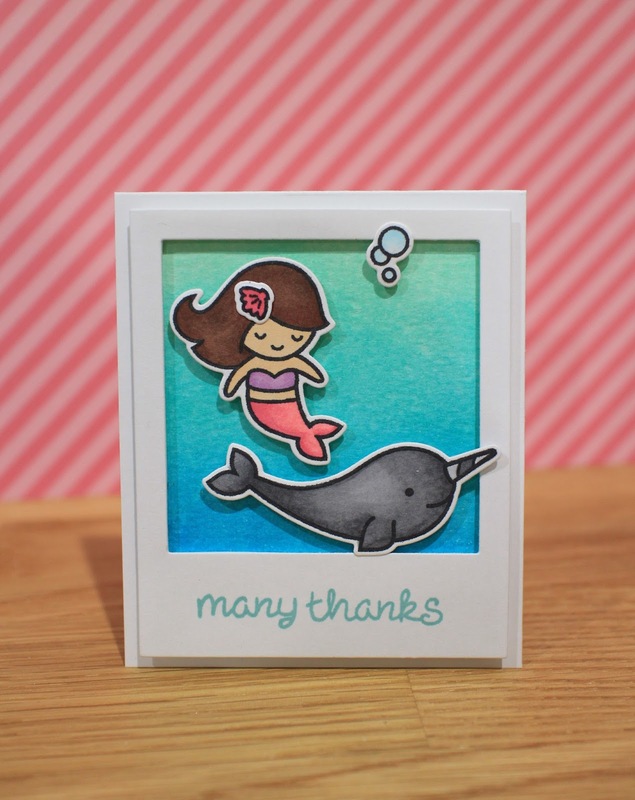 I coloured the background with different shades of blue using Tim Holtz distress inks on a watercolour cardstock. I stamped all my characters with copic friendly ink, coloured them with copic makers and die cut using the coordinating dies. I stamped the sentiments and corrals using Lawn Fawn Inks. I used form adhesive for some extra depth and dimension on a white cardstock. I used the sentiment 'many thank' from Home sweet home stamp set. 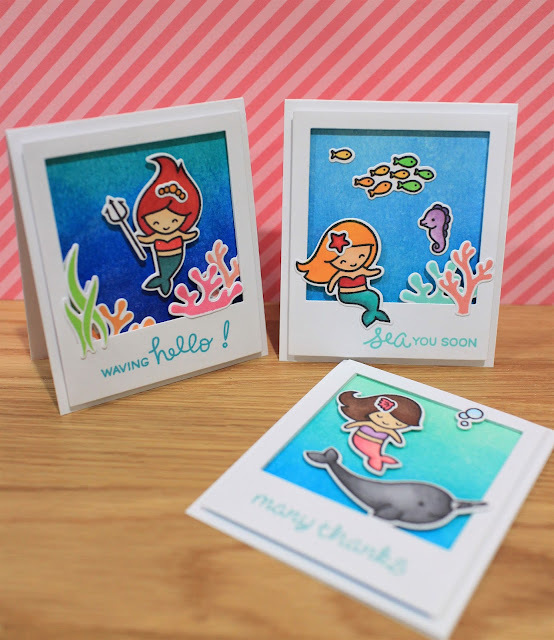 These cards were so much fun to create, I hope you like my cards and thanks for stopping by. 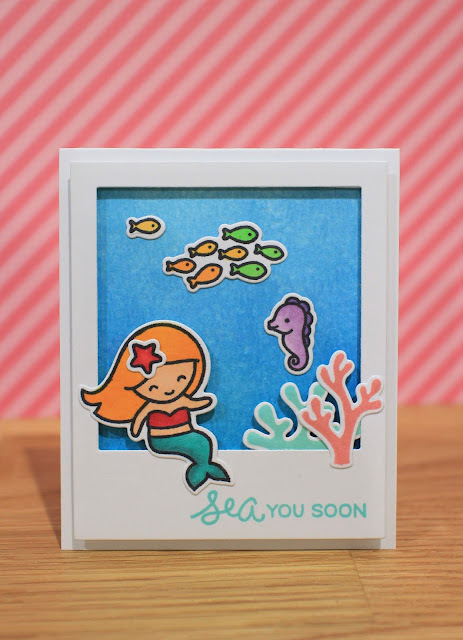 Today I'm sharing another project for Lawn Fawnatics Fun with Dies Challenge #24!. 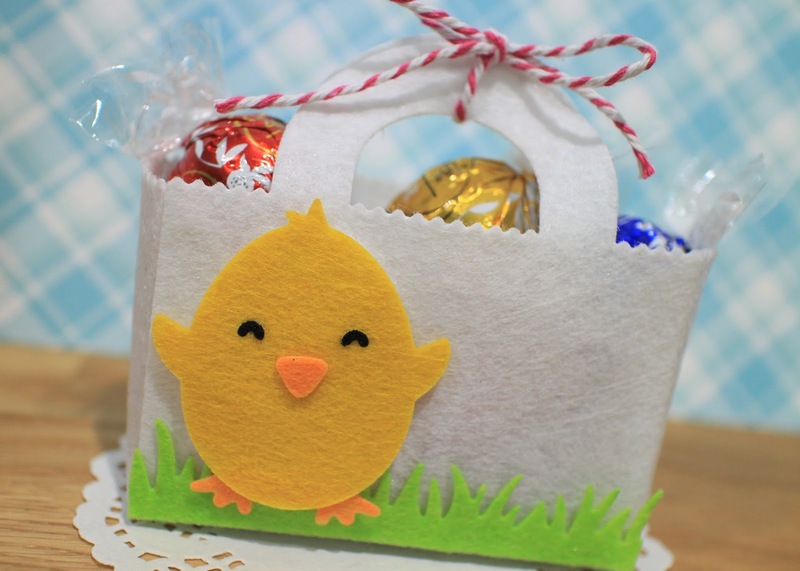 It is simple but cute favor bag using felt and lawn fawn dies. 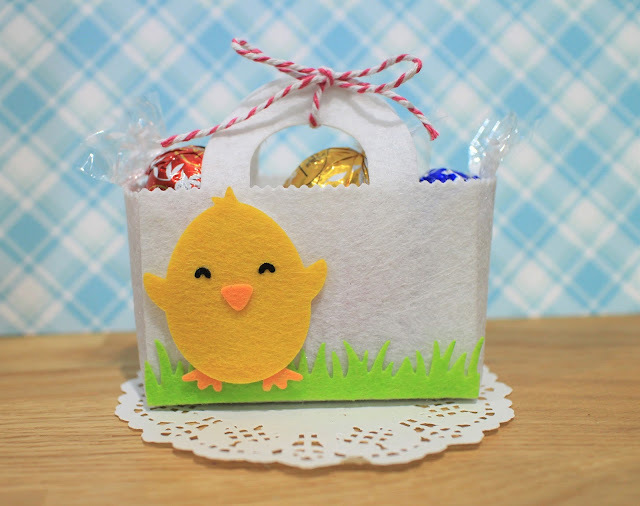 I made using Tote bag and Happy Hatchling dies. They are perfect to create easy and quick treat bags to give for Easter, baby shower or a congrats gifts. I just die cut the bag from white felt and adhered it using hot glue gun. And adhered the chick and the grass using felt. I finished the bag adding a simple pink bakers twine. 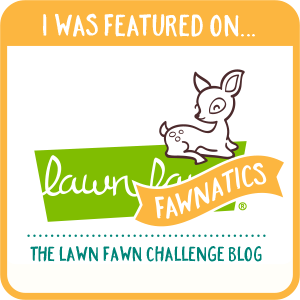 I hope you like my project for lawn fawnatics challenge. I'm here today with a sweet birthday card to share I made for my mother's birthday using Lawn Fawn stamps and dies. This set is so cute to create, here I made a fun see through shaker card. 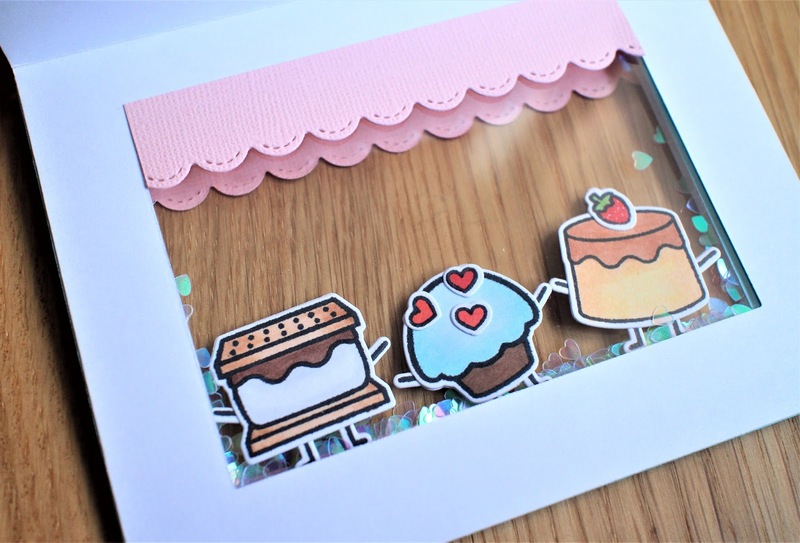 The card designed like a sweet shop with pink stripe sun shade using stitched scallop die on a blue woodgrain backdrop. 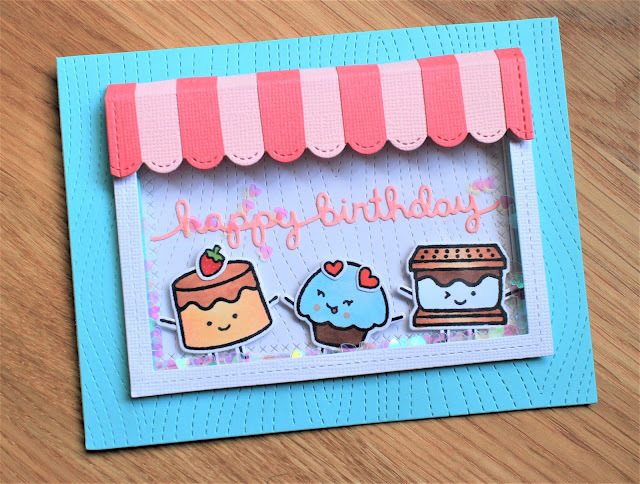 I enjoyed a lot creating this card, The sweet friends stamp set was fun to create these adorable treat and I coloured them using copic makers. I used happy birthday border die for the birthday message. 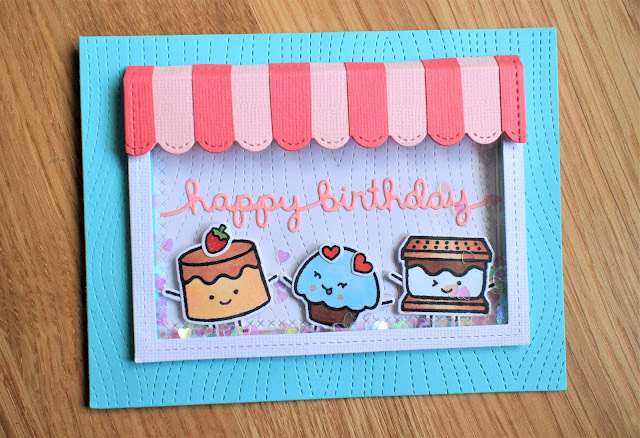 I hope you liked my birthday card for today. Thank you for stopping by, have a great day. Hello! My name is Archana Kasturi. I live in Melbourne, Australia with my husband. I love paper crafting, art and traveling. Thank you so much for visiting my blog!